NOTES: Vancouver is 4-5 in shootouts this season. It was the first shootout for Dallas this season, leaving Toronto as the only team that hasn’t gone to a tiebreaker. … Petterson’s assist was his 60th point, tying the Canucks’ rookie scoring record. … C Tyler Seguin, who leads the Stars with 27 goals, has not scored in eight games. … Vancouver has successfully killed 15 of 16 penalties over the past seven games. Dallas is 1 for 17 on the power play in the last seven. 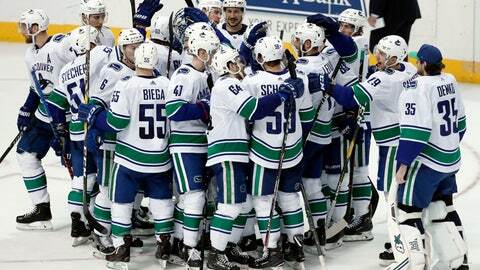 … The Canucks have won their three games over two seasons in Dallas by a combined score of 13-3.